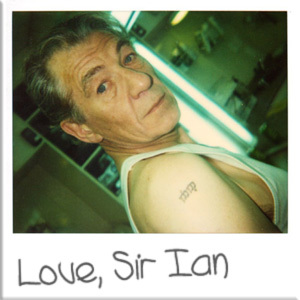 CASE HISTORY: Sir Ian McKellen is a national English treasure. He is an award winning actor and thespian. Also, he really gets into bathing people. This entry was posted on Tuesday, September 1st, 2009 at 12:02 PM	and is filed under Case Studies, Dr. Carter's Case Studies, Histrionic Personality Disorder and tagged with Gandalf, Jeff Crocker, Jeremy Carter, Laurence Olivier is rolling in his grave, Magneto, Mark McConville, Shakespeare, Sir Ian McKellen. You can follow any responses to this entry through the RSS 2.0 feed.